Sewing is a journey of personal expression, creativity and growth which makes every sewer unique, and that's why we have a selection of innovative sewing and quilting machines to choose from. No matter where in your journey you are, we have easy-to-use, smart and versatile sewing machines that are as serious about your hobby as you are. Find your dream machine today! FREE Sewing Class every Thursday (pre-registered), with My Handy Creations. Open to 10 students per class. Perfect for sewing enthusiasts & hobbyists. 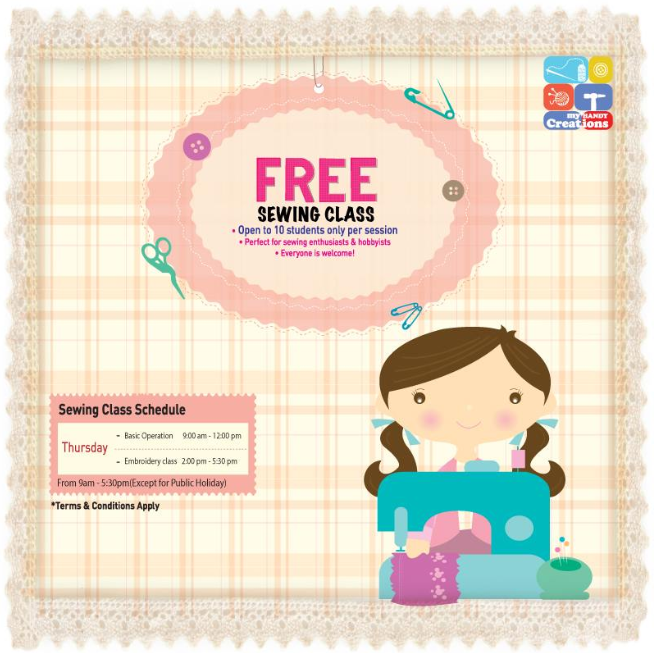 We will teach basic sewing operation and embroidery patterns classes. Open to all ages above 14 years old. Email us with your full name, email address, contact number & Harvey Norman Receipt Reference No. Location: Brother Office, Tower 1, Level 5, Jaya 33, Section 13, Petaling Jaya, Selangor.